Our installation services extend far beyond the hanging of a screen on a wall. We offer our customers full end-to-end digital signage installation. This includes electrical, network cabling by our own registered cablers, computer installation and configuration, screen installation and configuration, server installation, software configuration, on-glass projection film and projector installation. In addition to the installation, we can provide planning, project managment, warehousing, site inspections and shipping. We don't just install and then disappear, we back our installations and provide customer satisfaction. On Time and On Budget. Whether a customer needs a local installation, nationwide rollout or through a series of partners worldwide, our project team keep our staff and sub-contractors on track and our customers updated on the progress from beginning to end. 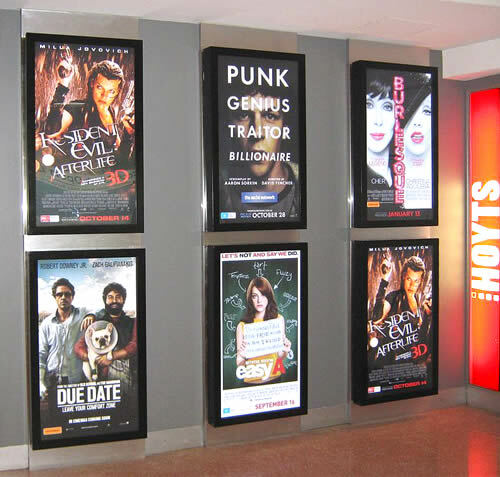 Our experience with digital signage installations, large and small, provides project guidance, as well as implementation support to some of Australia's largest companies. Our project planning and business experience, industry knowledge, technical know-how, and the functional expertise helps to ensure on time project delivery with no interruption to your business processes. We understand that every customer is unique, with distinct business strategies and requirements. We focus on your requirements and work with you to determine how Command can meet your needs - we have the functional and technical expertise to help you to get the most from your new investment. We enjoy the challenge, customers and designers can have special requirements, designs or concepts, we work with our customers to meet their goals. Command provides special fabrication work and design solutions to meet our customers requirements from flush mounting to special high temperature and vandleproof enclosures, Command will assist every step of the way.